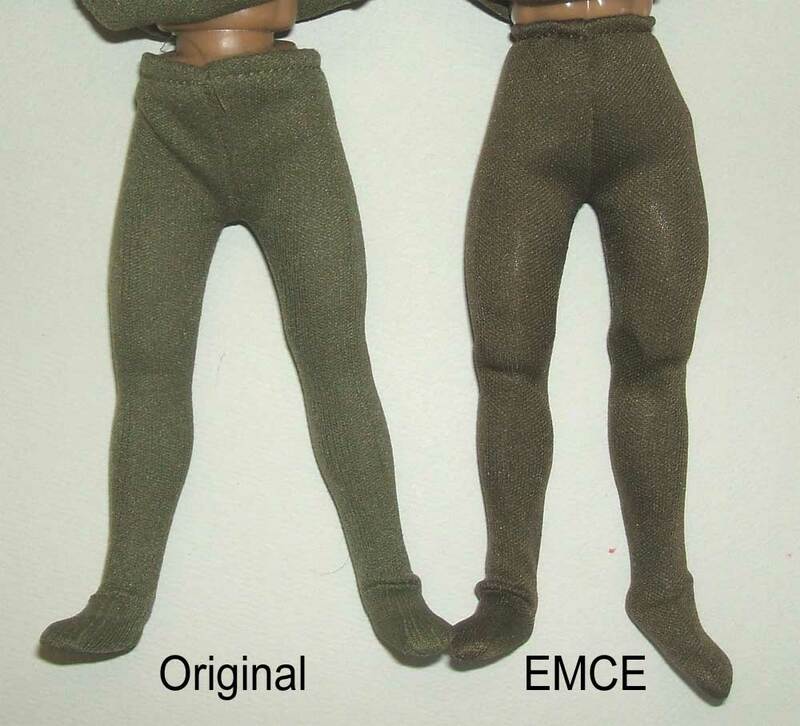 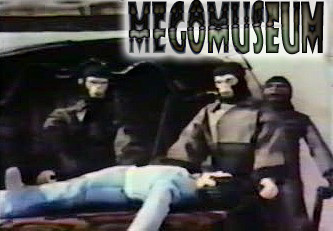 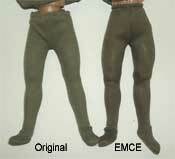 (plastic jointed) bodies. 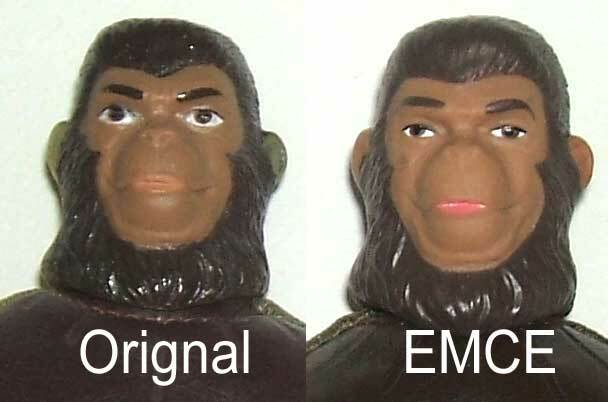 What does all this mean? 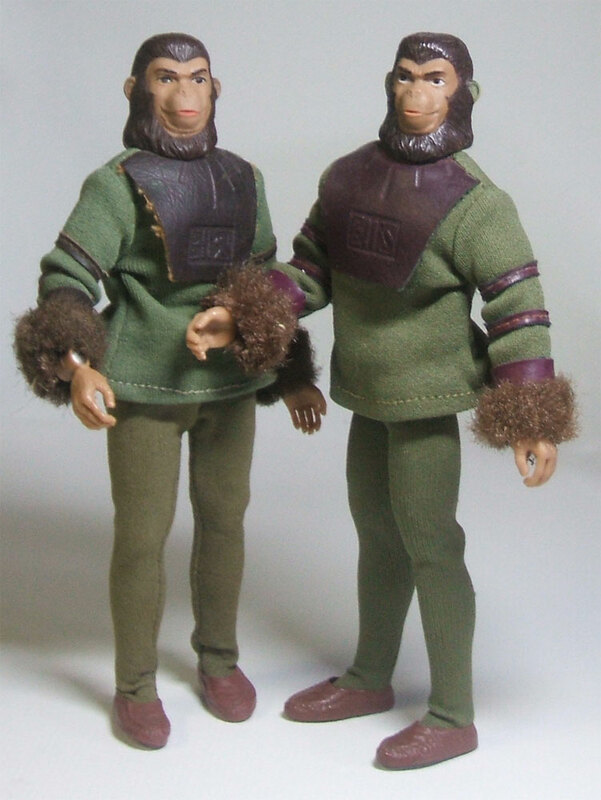 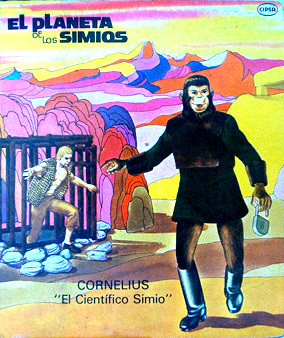 Simply, a male Chimp on a Type 2 body is probably Galen, while a male Chimp on a Type 1 body is probably Cornelius, but it is impossible to be sure unless the figures are carded. 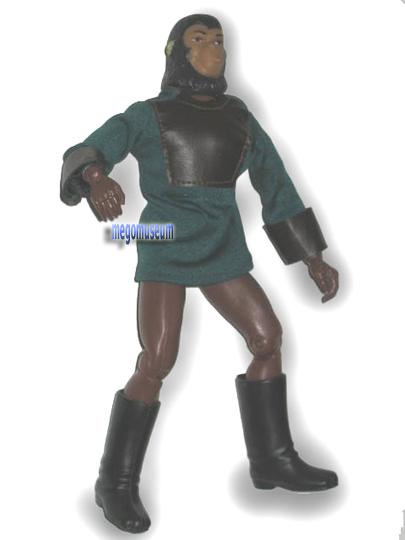 A complete figure (Cornelius OR Galen) has green tights, a green top with vinyl details, and moccasins (of either brown or burgundy tones). 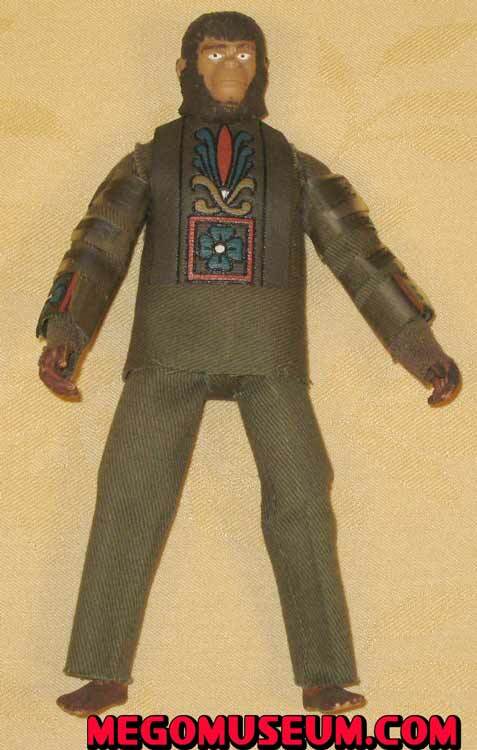 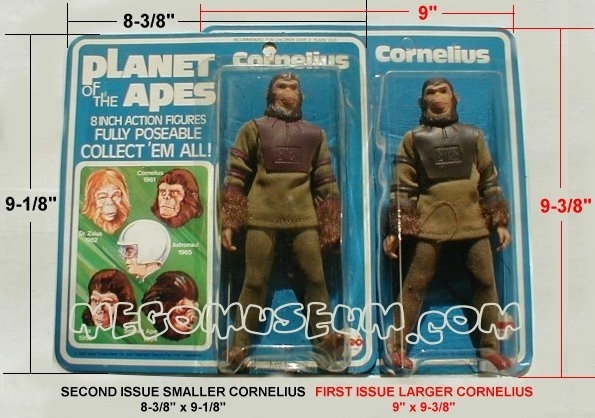 There is a very rare but confirmed variation of Cornelius in an outfit made of brown fabric in place of green, but with the same vinyl details. 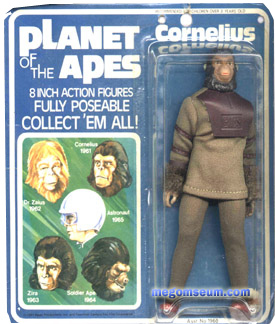 This outfit has been found on Cornelius only, not yet on Galen. 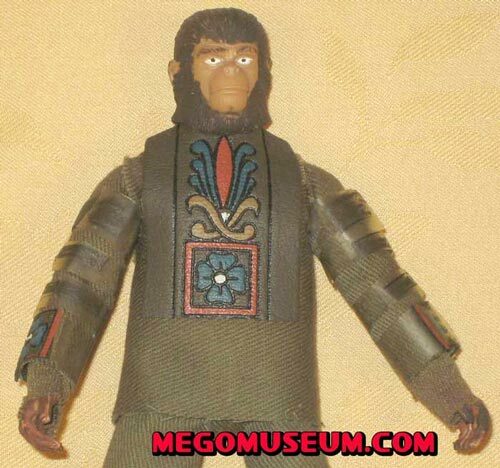 This early cornelius has an outfit made of denim, the patterns on the leather patches have been hand painted. 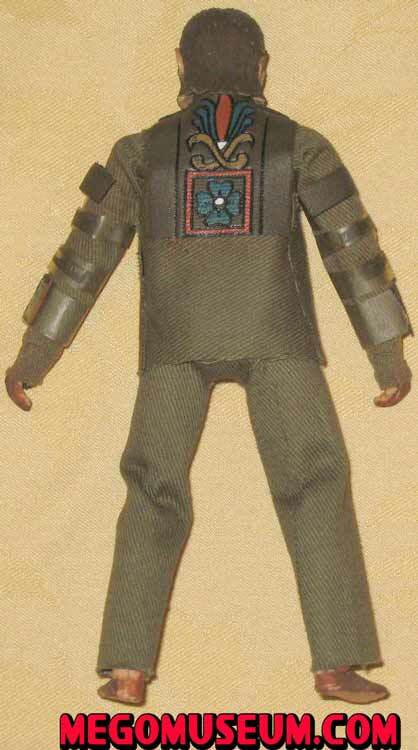 It’s nowhere near screen accurate but it is really interesting to look at. 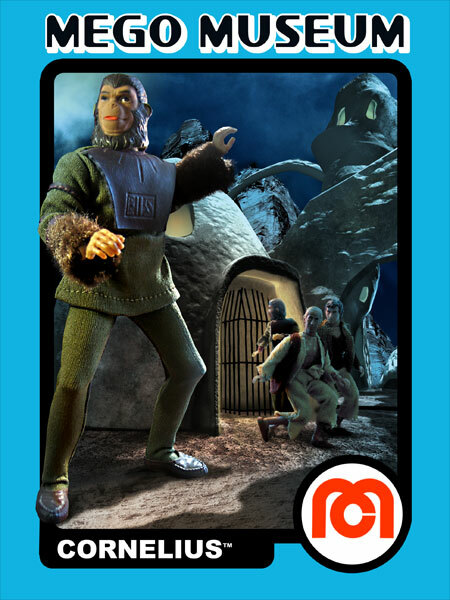 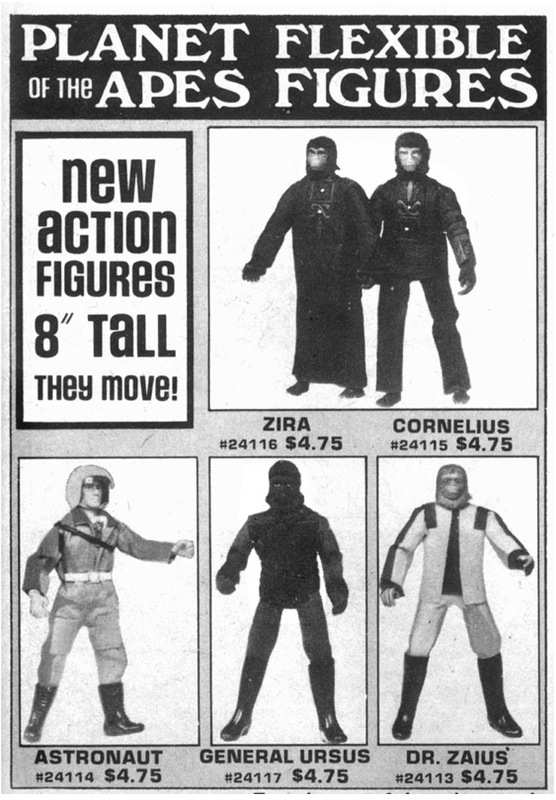 The Cornelius body is merely a type one Action Jackson with it’s hands crudely painted brown, to our knowledge these figures only appeared in print once, in Famous Monsters of Filmland Magazine. 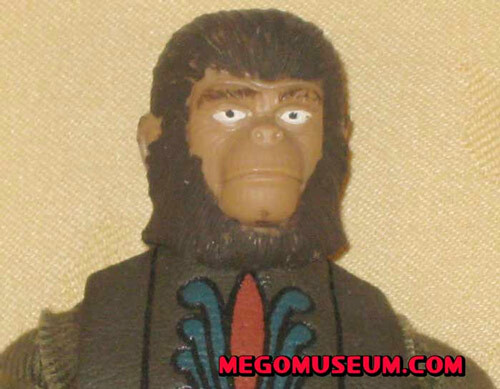 The only finished figure appears to be the Astronaut which lends credence to the theory that his head sculpt from another project.